If you find yourself wandering around a bath fixture store wanting to wear some of the products — perhaps on a chunky gold chain around your neck or dangling from a charm bracelet — instead of installing them, you won’t be alone. Cut into crystals, studded with sparkling stones or encased in enamel, the new bathroom bling is a dramatic departure from the plain fixtures of the last few decades. While such opulence might seem out of place with the simple, modern lines of today’s architecture, it’s precisely this contrast that makes it pop. “The millennial generation really likes clean and modern — it’s not going away,” says DwellStudio founder Christiane Lemieux, author of “The Finer Things,” a lush guide to sumptuous home design. 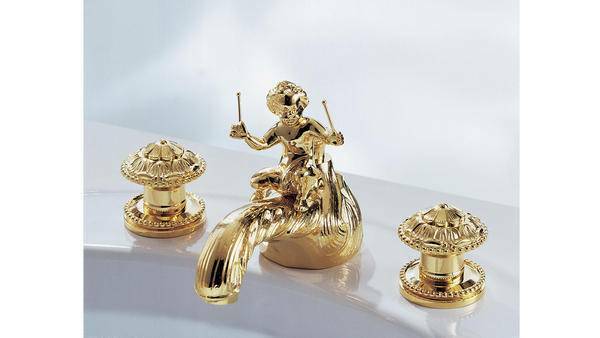 Dubbed “the haute couture of bathroom fittings,” THG Paris stands out for its opulent contributions to the trend and includes several collaborations. Jewelry designer Jessica Kagan Cushman’s eclectic new take on the trend includes knobs appropriate for bathroom cabinetry featuring semi-precious stones, antler horns, and carved cameos. High-end retailer Waterworks introduced preppy, tactile pieces incorporating leather and wood into their collection this year, along with 30 drool-worthy lavatory components from sculptor Jill Platner that resemble polished metal rocks. 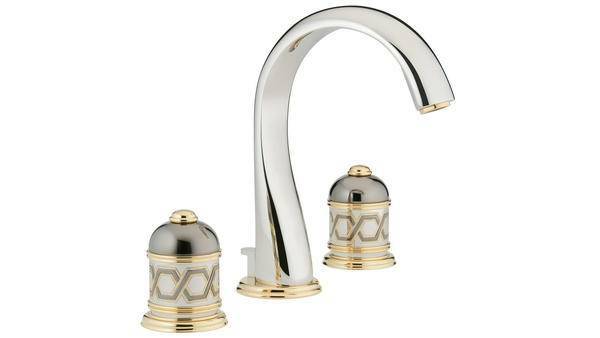 “To me, bathroom fixtures should be a joy to touch — you should go, ‘Oooh, I love that,’” says Corrigan, who has collaborated with THG on a new fixtures collection. “In a way, more than anywhere else in the house, the bathroom should make you feel good; it’s about pampering yourself and creating an oasis.” The designer, not a huge fan of the minimalist look in general (“Sometimes a contemporary home literally seems to look best with nothing in it — like it’s designed to be looked at, not lived in. Almost like a haiku”), does not, however, ascribe to the more-is-more school. In other words, if you do decide to posh up the privy, tone down the swankiness in the rest of the house.